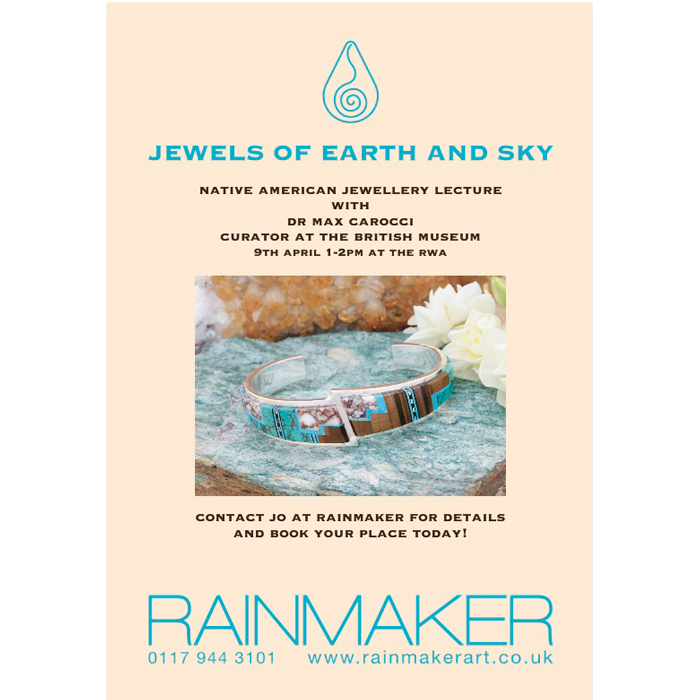 In this lecture Dr. Max Carocci (British Museum’s Anthropology Library and Research Centre) addresses the cultural significance of jewels and precious stones among the native peoples of the North American Southwest. Dating back many thousands of years, the use of jewellery in this region is testimony to an astonishingly rich and enduring legacy. The lecture reveals the multiple meanings and social relevance of this remarkable art, while highlighting similarities and differences in the ways in which jewellery has been perceived in the West and among North American indigenous peoples over time.